Do you put a lot of pressure on yourself to Be more successful, Lose the weight, Be more productive, go outside more, wish you were more social, or more creative, want to be a kinder, nicer person, Be better at managing money….Be Happier…….? Hey, I have been EXACTLY where you’ve been or are feeling right at this very moment. I have on numerous times (sometimes daily) beat myself up verbally for things I didn’t get done or I believe I really SHOULD be doing more. There is nothing wrong with having Goals. In fact I LOVE setting goals for myself and then tracking my progress. But do you often feel like you aren’t doing enough? Well, my friend, can I be the one to let you off the hook right now? I want to tell you that you are doing AMAZING right now. And if you are feeling let down by life or lost or just bored, this is just a rough patch. 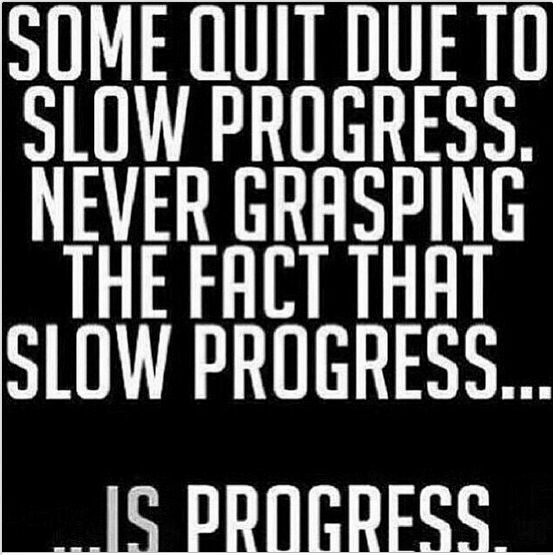 We are ALL a work in progress. And this is something we all have in common! Isn’t that nice….You are not alone. It came to my attention that the things I was saying to myself weren’t always super positive. We all have those days. I think we are conditioned to believe that if we aren’t having positive emotions all the time, then we aren’t doing it right! Anyone relate?? We need to have negative things come up. This is how we find out what areas we need to look at and move to change them….if we choose to since we all have free will! But we DON’T have to change things ALL AT ONCE! I think that is where a lot of us get tripped up. We berate ourselves for not moving fast enough to change ourselves. I know I can be very impatient with myself….which is odd since as a Taurus, I am SUPER patient with everyone else. 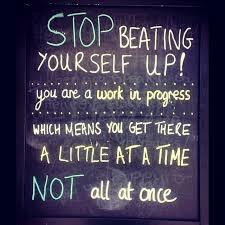 Think about the things you say to yourself in your head on a regular basis. If it errs on the side of abuse (as often it does), stop and ask yourself if you would actually say that very thing to your best friend. This is my NEW favourite “word” this year. 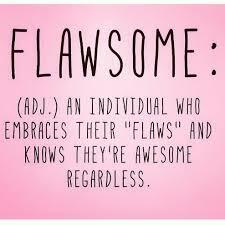 Flawsome!! You are doing exactly what you need to do. Hang in there!! The weather will get warmer and you will change with the seasons too. You do not have to wash your hair every day, only when it’s dirty, but you do have to wash your face every night. You can have your hair short or long at ANY age. You should always bring something when someone invites you over for dinner and send a card or email to the host(ess) after a dinner party. You don’t have to apologize for disagreeing with someone but you do need to think twice before posting on social media. You do not have to answer the phone every time it rings or reply to that text right away. You don’t have to feel guilty for leaving negative friends but you do have to show gratitude to those good people in your life and make sure to tell them. You do need to do something to help make this world a better place but you don’t have to solve the entire world’s problems. And you must know where your money is and what it’s doing for you (check your balance regularly and do it with a smile no matter what). But Never compare your life to someone elses~ comparing is the death of happiness. Finally, you do have to forgive people who’ve hurt you, but first forgive yourself. And yes, yes, YES you will! !